This study is aimed at exploring ninth-grade Bhutanese students’ views of nature of science (NOS). A total of 389 students from middle secondary and higher secondary schools from the eastern, western, southern and central regions of Bhutan took part in this study. To generate a representative population, a stratified random sampling technique was used. 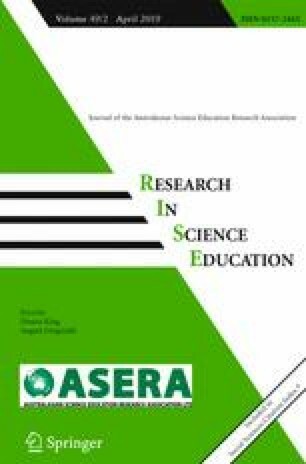 An adopted and adapted version of the Students Understanding of Science and Scientific Inquiry (SUSSI) comprised Likert-type items, and open-ended questions were used as a research tool. Quantitative data were analysed using descriptive statistics, and the qualitative data were analysed and categorized into naïve, transitional and informed views. The results indicated that the majority of the Bhutanese students held naïve views on sociocultural embeddedness, scientific laws, scientific theories and science as a body of knowledge. The study has an implication for curriculum developers and teaching professionals, particularly in culturally rich countries, that explicit instruction of NOS should be reframed based on students’ cultural backgrounds and their indigenous knowledge. Please answer each of the following questions. There is no right or wrong answers. In this questionnaire, there are two parts in each question. For the first part, please read EACH statement carefully and then show the degree to which you agree or disagree with EACH statement by circling the appropriate letters to the right of each statement (SD = strongly disagree; D = disagree; more than agree; U = uncertain or not sure; A = agree more than disagree; SA = strongly agree). For the second part, write the answer in the space provided. Make sure that you answer all the questions. Scientists’ observations of the same event may be different because the scientists use earlier experience and knowledge may affect their observations. Scientists’ observations of the same event will be the same because scientists think in the similar way. Scientists’ observations of the same event will be the same because observations are facts. Scientists may make different interpretations based on the same observations. Do you think all scientists’ observation and interpretations are same or different? With example, explain why you think scientists’ observations and interpretations are same or different. Scientific theories are subject to on-going testing and revision. Scientific theories may be completely replaced by new theories when new evidence is found. A new interpretation of data can change our present scientific knowledge. Scientific theories based on accurate experimentation will not be changed. After scientists develop a scientific theory (for example, cell theory, atomic theory, evolution theory, etc.) does the theory ever change? With examples, explain why you think scientific theories do not change OR how (in what ways) scientific theories may be changed. Scientific theories exist in the natural world and are discovered through scientific investigations. Scientific theories can change but scientific laws do not change. Scientific laws are theories that have been proven. Scientific theories explain scientific laws. Is there a difference between a scientific theory and a scientific law? Illustrate your answer with example. Scientific research is not influenced by society and culture because scientists are trained to conduct “pure”, unbiased studies. Cultural values and expectations determine what science is conducted and accepted. Cultural values and expectations determine how science is conducted and accepted. Science is not influenced by cultural and societal values because science is independent of society and culture. Do you think social and cultural values decide what scientists should work on? Scientists use their imagination and creativity when they collect data. Scientists use their imagination and creativity when they analyze and interpret data. Scientists do not use their imagination and creativity because these conflict with their rational reasoning. Scientists do not use their imagination and creativity because these can interfere with objectivity. Scientists perform investigations/experimentations while trying to find out answer to questions. Do you think scientists use creativity and imagination during investigations/experimentations? With examples, explain how and when scientists use imagination and creativity OR do not use imagination and creativity. Scientists use different types of methods to conduct scientific investigations. Scientists follow the same step-by-step scientific method. When scientists use the scientific method correctly, their results are true and accurate. Experiments are not the only means used in the development of scientific knowledge. With examples, explain whether scientists follow a single, universal scientific method OR use different type of method. For example the universal method means such steps as defined the problem → gather information→ form a hypothesis→ make relevant observations form hypothesis →make relevant observations →test hypothesis→ form conclusions → results. Scientists make sufficient observations and measurements to reduce error and obtain reliable evidence. Among different scientific theories, the acceptance of scientific theory depends on experimental evidence. Scientists use only one direct evidence such as observational or experimental data to explain the natural world works. Scientists invent scientific knowledge, so it does not need observable evidence. What, in your view, is science? What makes science different from other from other disciplines of inquiry (e.g., religion, philosophy)? Jonson, D., Childs, A., Ramachandran, K., &Tenzin, W. (2007). A needs assessment of science education in Bhutan, UNESCO. http://portal.unesco.org/geography/en/files/11198/12396892105Final_Report.pdf/Final%2BReport.pdf. retrieved 5 January 2013. Policy and Planning Division. (2013). Annual education statistics. Ministry of Education. Thimphu. from http://www.education.gov.bt/. Retrieved December 17, 2013.